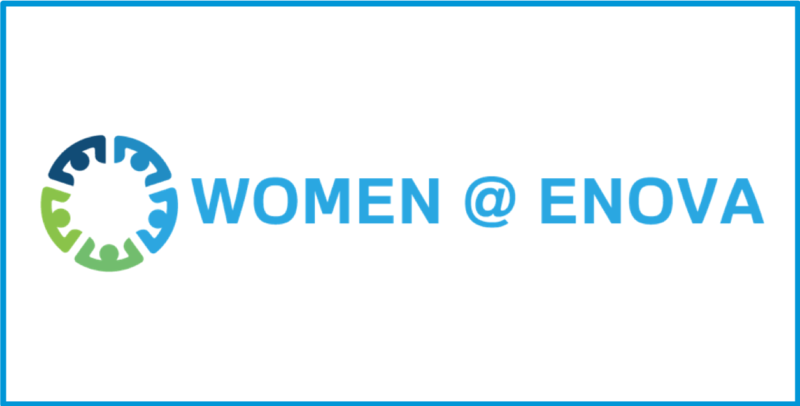 Introducing: Women@Enova - Enova International, Inc. This month we sat down with Ana Lebron, Technology Manager and Executive Council Member of Women@Enova, to learn more about this important employee resource group (ERG). Tell me about Women@Enova. How did it form? 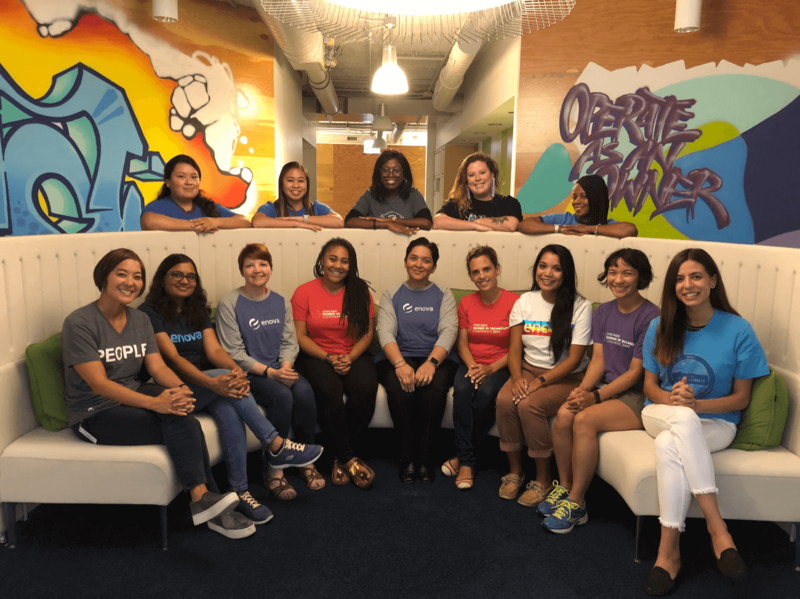 Women@Enova (W@E) was created to merge three groups that had formed over the years: Women in Tech (WiT), Women in Software Engineering (WiSE) and the Women’s Networking Group (WNG). They were all doing great work, but we knew there was an opportunity to come together to align the overall mission and foster inclusion across the business. W@E acts one structured group with a leadership board and task force members who support areas of professional development, networking, technology, and volunteering. All women and allies from across the business are welcomed! W@E intends to empower, attract, and support the development of women at Enova and women within the Chicagoland community. The group helps connect, develop and retain female talent by providing networking, professional development, and community engagement opportunities to all Enova talent, regardless of gender identity. Our team just planned the third annual ChiWiTCon™, the only tech conference in Chicago with content tailored to all genders across all platforms and technologies. ChiWiTCon brings the achievements, aspirations, and career interests of inspiring individuals in technology to the forefront, and it’s been exciting to see attendance and involvement from other companies grow over the years. W@E collaborates closely with our Diversity and Inclusion council. Both offer different approaches and perspectives in pursuit of the same goal: equipping Enova with the tools to support one another and continue to foster an inclusive environment. W@E provides its members the opportunity to problem-solve, innovate, develop and showcase their leadership skills, regardless of their role at the organization or seniority. Additionally, it provides a great opportunity to network and get to know peers from other parts of the company. Interestingly, at many organizations, survey data indicate that employees involved in ERGs have higher engagement scores than those who are not, and research continues to demonstrate the positive correlation between employee engagement and productivity. How can people serve as W@E allies? No movement makes significant progress without the voices of allies to help boost the message. A recent study by the Boston Consulting Group shows women-only efforts stall in organizations with a 30% success rate vs. 96% when all are included — so it’s important to involve people of all genders as champions. Model the right behaviors: Be mindful of the work environment you create and the message you send. Take steps to model the right behaviors, and avoid making any assumptions about any employees, regardless of gender, including their goals, needs, and ambition levels. Allies should also speak up whenever they encounter a situation or comment that doesn’t seem right. Don’t hesitate to sponsor a high potential woman: Advocate for a woman at key inflection points in her career, such as providing continuous mentorship or recommending other training and development support needed to move her career forward. Get involved with W@E initiatives: Join the W@E board, volunteer and attend events, and use social media to create greater awareness.